Right now, the city of Charlotte is gearing up for an orange wave of Clemson and Miami fans to descend upon the city for the sold-out Dr Pepper ACC Football Championship Game. But don’t worry if you don’t have tickets. There are still plenty of ways to get in the football spirit, with events ranging from the ACC Tree Lighting Ceremony featuring the ACC mascots on Thursday to Fan Central in the EpiCentre on Friday night. Even on game day there are plenty of ways to get in on the action! Runners will take off for the ACC Fan 5K and Kids Mascot Run presented by Novant Health that morning. And following the race, ESPN’s College GameDay is live at Romare Bearden Park. Later that afternoon, the ACC Football FanFest, featuring live music, will be outside the stadium before kick-off. The excitement continues on Sunday, with the Belk Bowl announcing the teams from the ACC and SEC that will compete in Bank of America Stadium on December 29. To find out who's been selected, follow the Belk Bowl's social media. This Saturday, take to the streets of Uptown Charlotte for the ACC Fan 5K and Kids Mascot Run presented by Novant Health. If school spirit isn’t enough of an incentive, prizes and giveaways include free tickets to the sold-out Championship Game that night. College GameDay Is in Town. Are You Ready to Get LOUD? 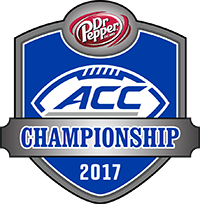 This Saturday, the ESPN College GameDay is live from the Dr Pepper ACC Football Championship Game at Romare Bearden Park from 9 a.m. until noon. This is a can’t-miss experience for college football fans, so start making signs and be ready to get loud.